These are a set of flashcards that cover every, and I mean every concept in the Faber Primer books, even down to the technique secrets. 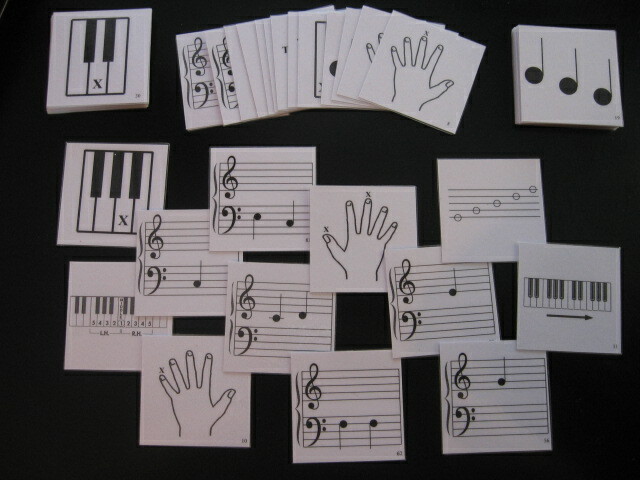 They are designed so the answers can be printed on the back of the flashcards, or on another piece of paper. I printed these out of lavender cardstock to match the books. I use these for games when a student finishes the primer books, to make sure they have an understanding of all of the concepts. Card is drawn, a student can turn that in when they draw a Bang card and keep the cards they have earned. The goal is to accumulate as many cards as possible. This game can me modified for note names, keys on the keyboard, composers, etc. using any of the flash cards. I’d like to ask if you do not mind. I was curious to know how you center yourself and clear your thoughts prior to writing. I have had difficulty clearing my thoughts in getting my ideas out there. I do enjoy writing but it just seems like the first 10 to 15 minutes tend to be lost just trying to figure out how to begin. Any recommendations or tips? Appreciate it!